My granny is, and always will be, clearing out her garage. 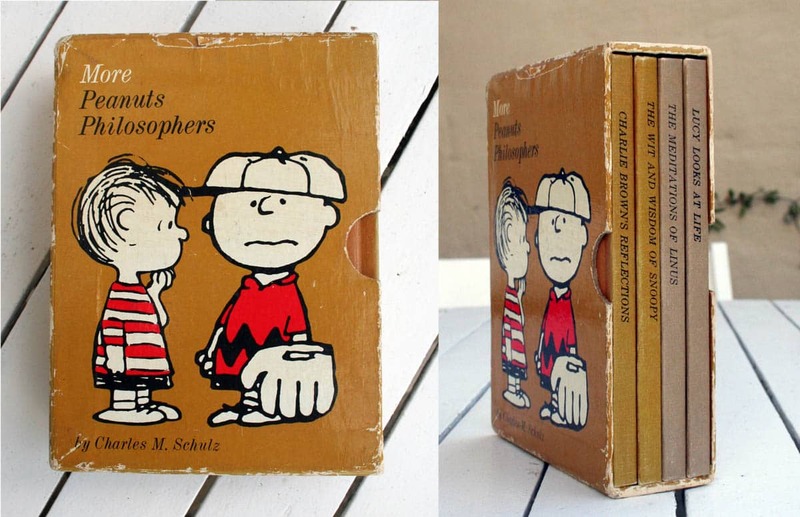 Whilst doing so she found this set of Peanuts books: Lucy looks at life, The Meditations of Linus, The Wit and Wisdom of Snoopy and Charlie Brown’s reflections. I am not a huge fan of Charlie Brown but I have really enjoyed spending a few minutes each day with a cup of tea reading these short stories. 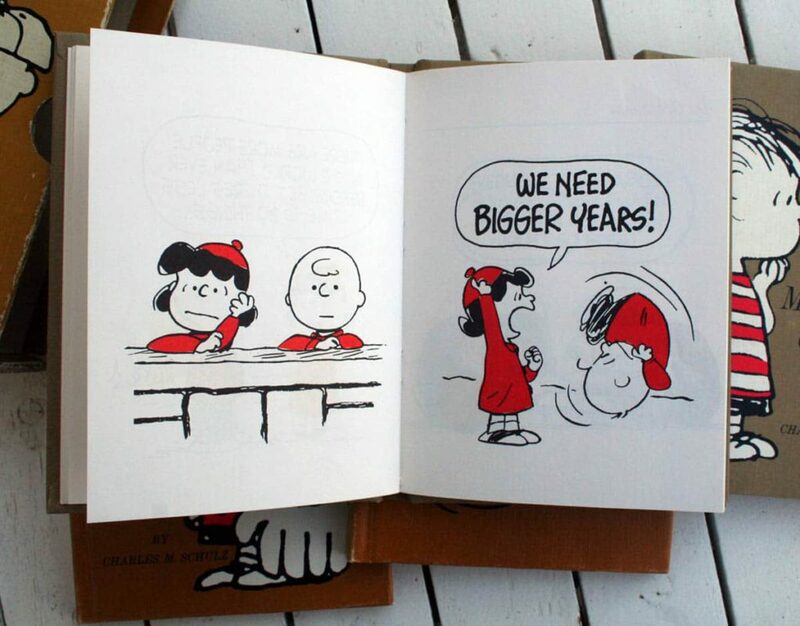 I couldn’t agree more with Lucy on this one. 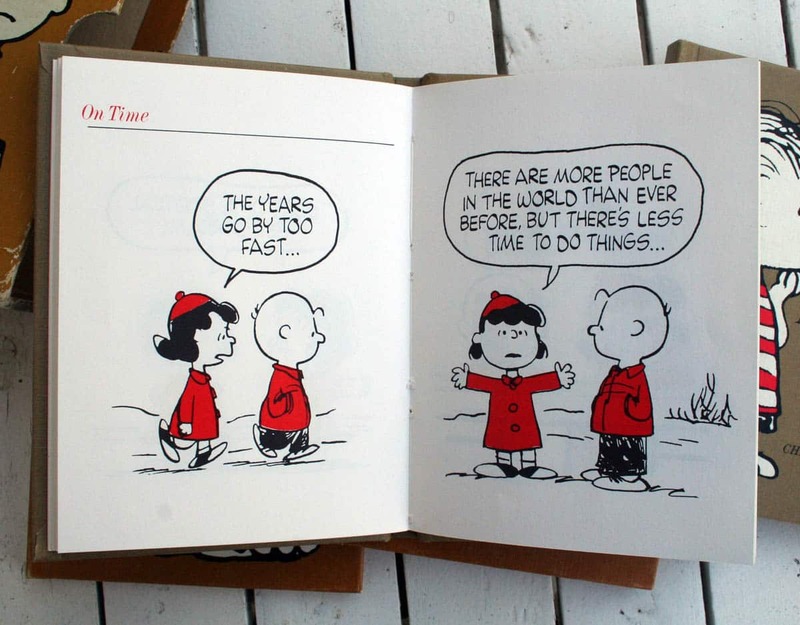 This entry was posted in Blog and tagged Charlie Brown, Lucy, Meditations of Linus, Peanuts Philosophers, Wit and Wisdom of Snoop. Quite a futuristic thought if you think how long ago this has been originally thought up. What a sweet find! I love their insight. The short story is delightful and I can see why you are looking for it. I checked for you but unfortunately that story is not in this set of books. Sorry. I wish it were though.